Welcome to Day 9, if you are just arriving for the first time all the details and the linkup can be found HERE! Excited to have Pink & Main today as both our guest and sponsor! They are offering a $25 gift certificate for their online store as a giveaway to one lucky person! 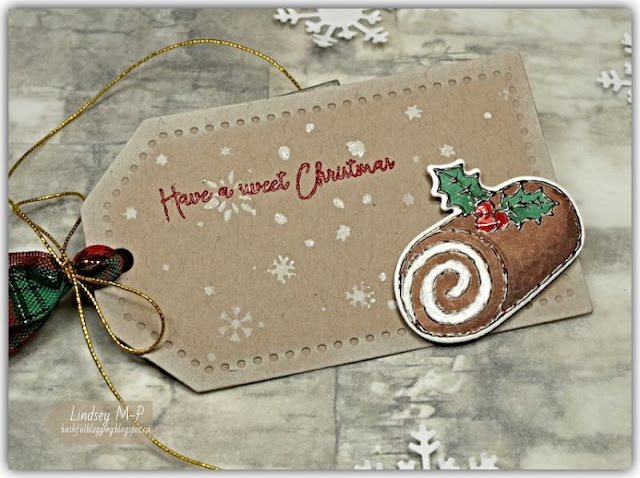 ...and one from me, Tracey McNeely, along with a quick video! NEW want another chance to win? Subscribe, Like and Comment on my YouTube Channel when I post videos for this event! Love love love love love loveeeeeee them all!!!!!!!! Such fun tags today. 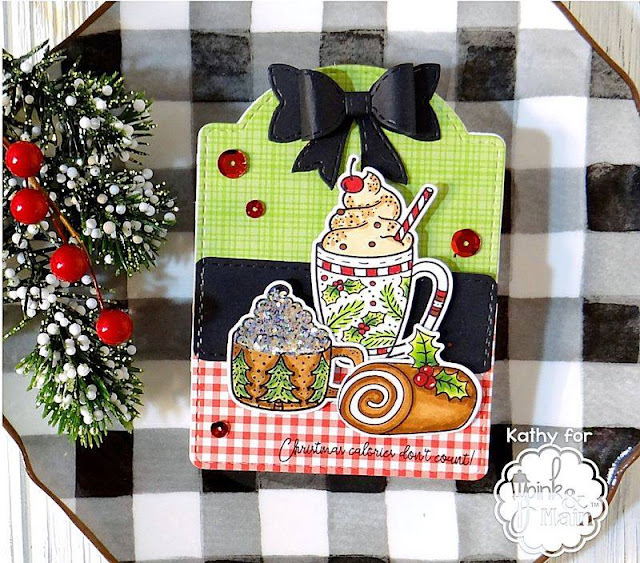 Love the graphic look of Tracy's tag, as well the fun flamingo and all of the tempting sweet treats. 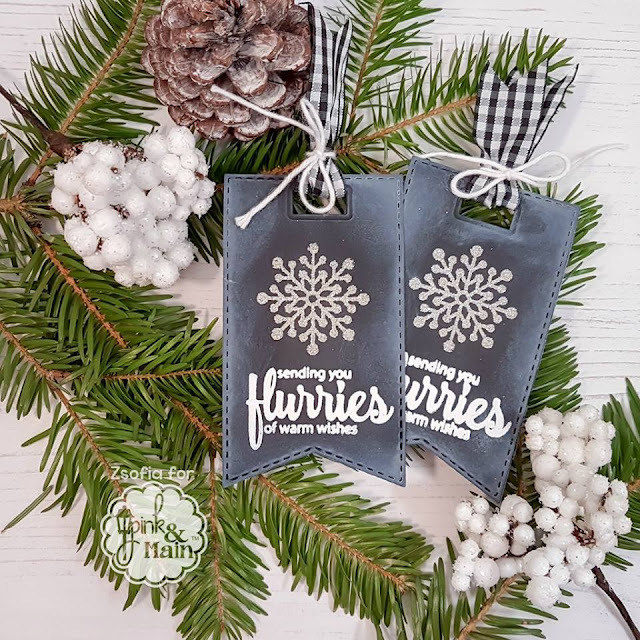 OMG - these are some gorgeous tags! I love the cheery, joyful snowman! 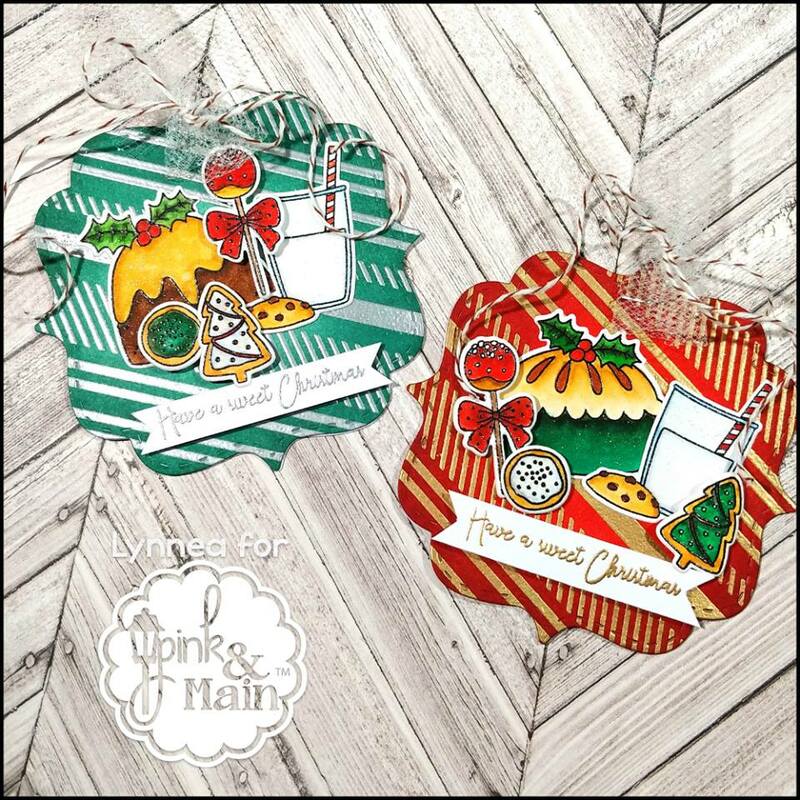 What a pretty variety from Pink & Main! Another wonderful day of tag inspiration. Love Pink & Main and the ladies ALL did a fabulous job showcasing their products with amazing ideas. (I don't know what to make first. LOL) Love your snowman tag as well Tracey and a BIG thanks to Pink & Main for sponsoring your event! From simple to exotic, these are some GREAT looking tags. Thanks everyone! This is super cute, Tracey. What a darling snowman. Tracey...love your sweet snowman, simply adorable. 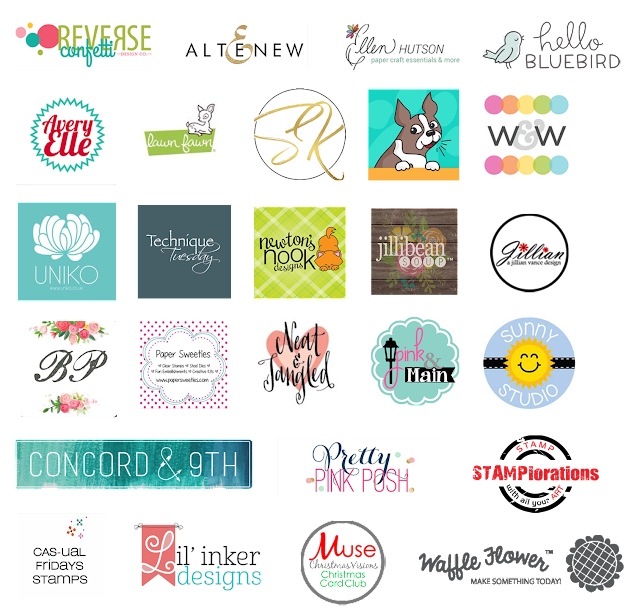 Awesome tag ideas with these fun designs! 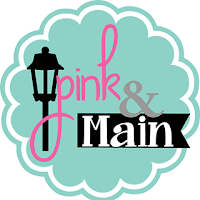 Love Pink & Main! Great variety of tags today! I love Pink & Main's new snowman - he's so happy! After getting our first snow last night though, I would love a tropical Christmas. Bring on the flip-flops! Thanks for another great day of inspiration! I want to CASE everything shown today!! Such awesome tags and beautiful inspiration. OMG, I had such fun hopping from site to site; you are all so creative. Such wonderful, fun tags. Great creations by the designers. So many cute tags today! :) I love the little cute critters. So darling, Tracey. I learn so much when I visit your YouTube channel and I need to remember to stop by all year long. Thanks for the adorable tag and all the inspiration! Your snowman is adorable, Tracey! Everyone has done fabulous tags using Pink & Main, a company i am not very familiar with so it's wonderful to be inspired by all these sweet creations. Your little dancing snowman is adorable! Love the tags and the snowman tag. These are fabulous! 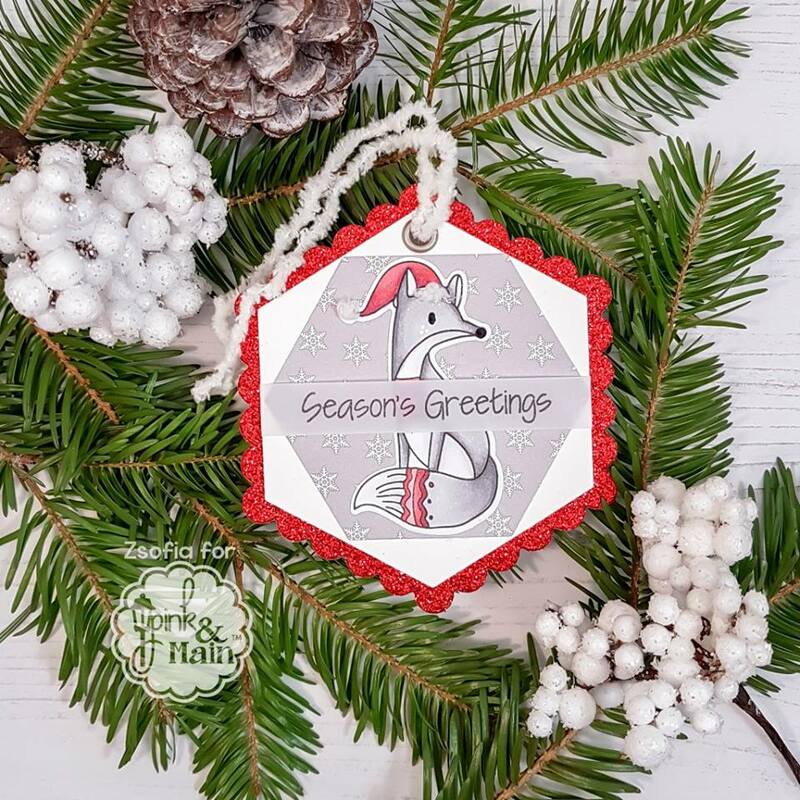 Love the fox tag and colors! Just darling stamps and tags. Thanks for the inspiration. Happy Holidays!!! These days are flying by. So many wonderful tags. Hope to make a few more. Some very different tags today and I love them all. But I'm particularly taken with yours Tracey. I love the background and will have to use that for some of the tags I'm making. Thanks to everyone for all the inspiration. I had to really look at Donna's beautiful tag. Then I read her log. How clever is that!!!! Gotta try it. Awesome inspiration! I love the one with the Christmas log! Great showcasing! I love the delicacy and intricate design on Donna's Tags! Anything coffee related gets me so excited! I have a Fall Pink & Main set and I’m going to try and Christmas it up! Thank you Kathy for the inspiration. Wow, lots of great inspiration again today. I'm totally intrigued by the see-through tags, for lack of a better name -- the ones Donna Lewis made. 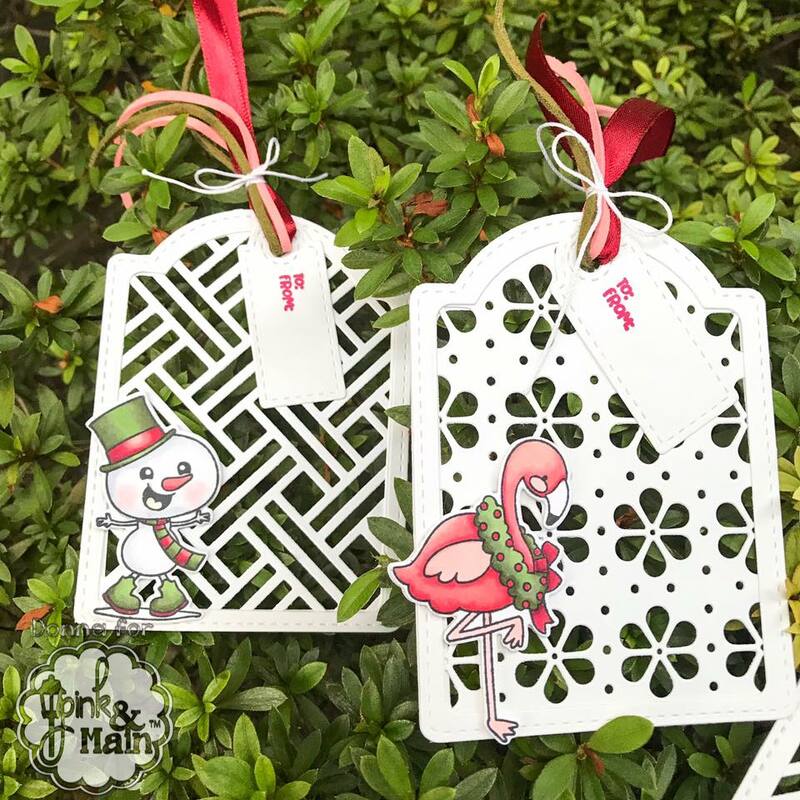 Fun tags...love seeing non traditional images protrayed as a Christmas theme like the flamingo. Such a fun collection of tags! I love Donna Lewis’ lacy Tags! Love the little snowman! The Nuvo paste background is a new technique to me. These are all so cute! I love the dogs, deer, snowman and all the delectable treats! Wonderful tags, I really love the little snowman. I thought I commented on this post yesterday afternoon but I do not see my comment. So please forgive me if this is a duplicate but I absolutely LOVE the flamingo tags and I am going to work on some myself this weekend. Terrific tags - I adore the wreath wearing flamingo! 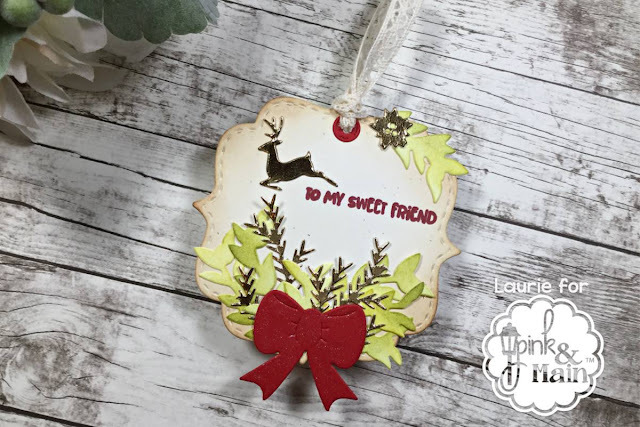 These holiday tags really give the warm feeling of Christmas. Thanks for sharing your wonderful ideas!!!! Very sweet tags! Great coloring!! WOW! So many amazingly beautiful tags! I think your snowman is darling. He is so happy to be "alive"
Love all the tags. Especially the tags with die cut patterns. Super cool! I just loved all the different shapes. Each one is amazing! 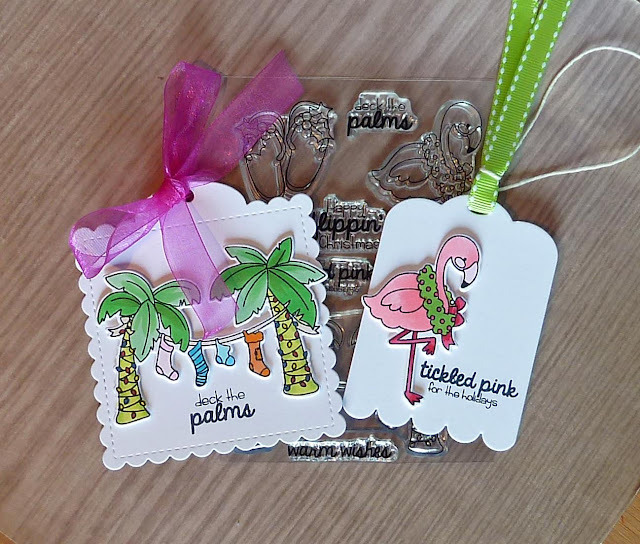 Tags with a summery feel are perfect for Australia - I love the flamingo and palm tree ones! I'm loving all the sweet goodies from Pink & Main. Those sweets can all be enjoyed without the calories and they're so cute!! Love those warm weather tags with palms and flamingos. Super cute tags ladies. Love the different shapes and the pretty edges on the tags... darling images. Tracey, that snowman is so sweet! Wow! So many awesome tags! I just love the Christmas flip flops and the flamingo! 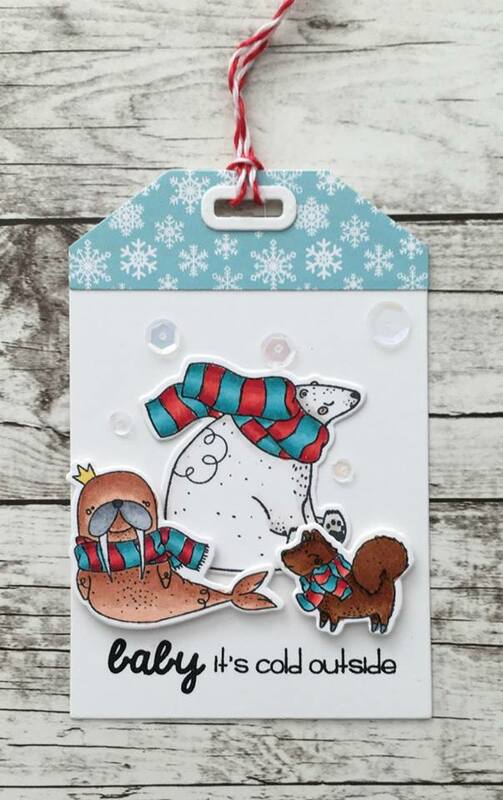 Such an adorable tag, love that adorable snowman and the glimmer paste background. Fantastic inspiration by all! 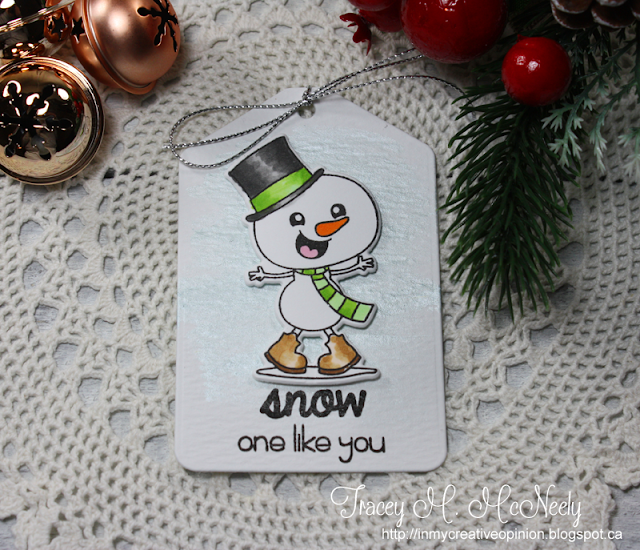 Love your Snowman tag - great video! Oh my! How cute! 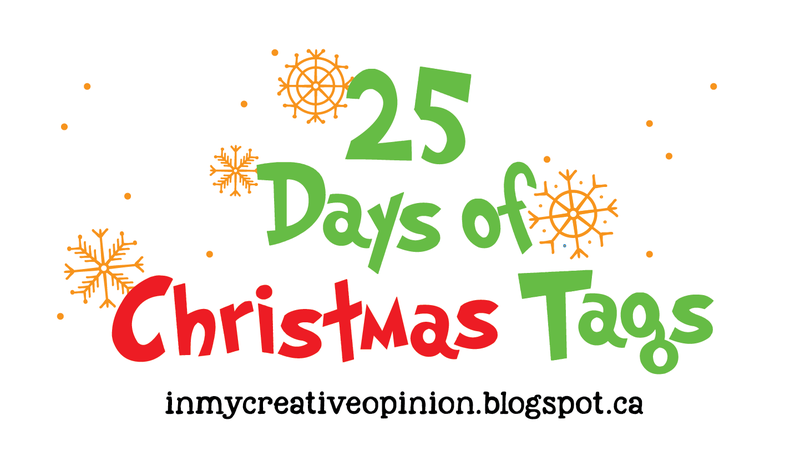 I was so much inspired from lots of things like flamingos, flip flops and unconventional Xmas colors! Awesome!!! Love Love Love the flamingo! Wow! What a wonderful variety of tags to choose from today! 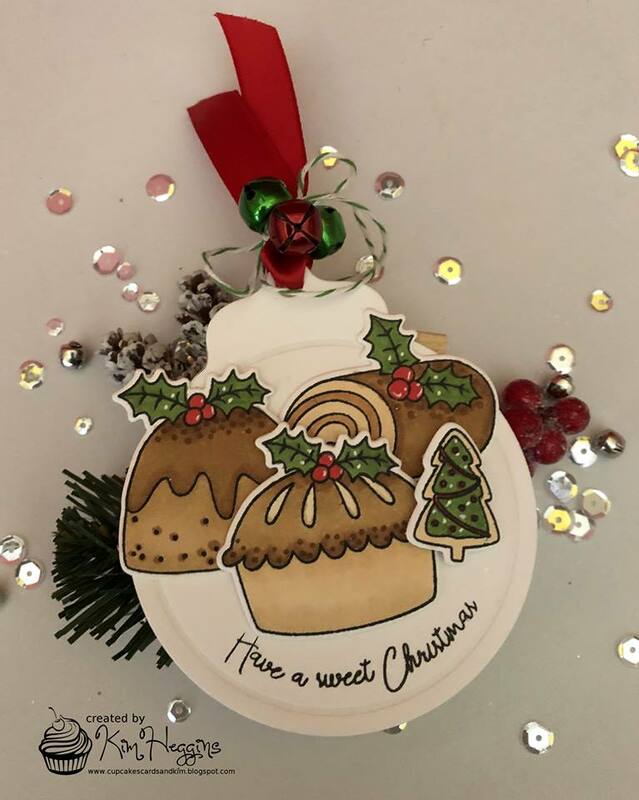 Love the new ideas for using a wreath on a tag. I love wreaths so much. 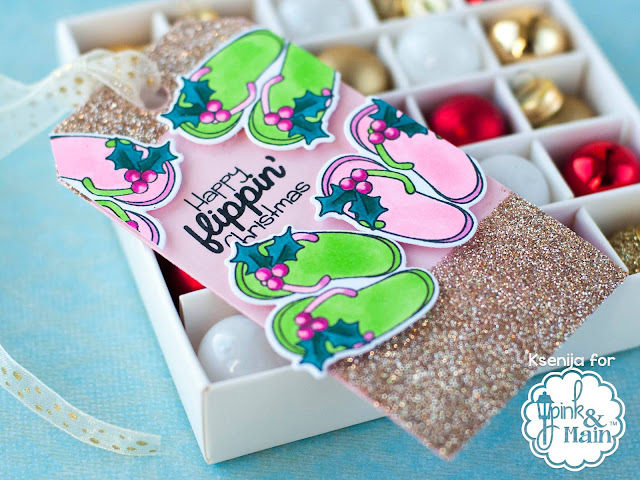 I love the flip flop tag! All great!!! 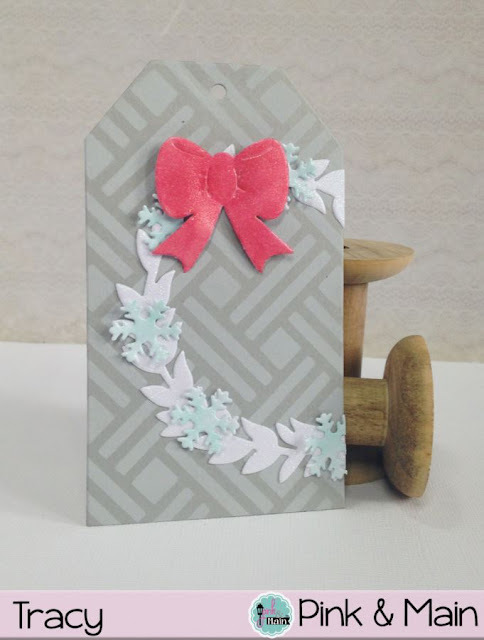 Really inspired by Donna's die cut tags - so pretty and different! More really cute tags-yay! Your snowman is adorable and I love Laurie's & Zsofia's. they are beautiful! 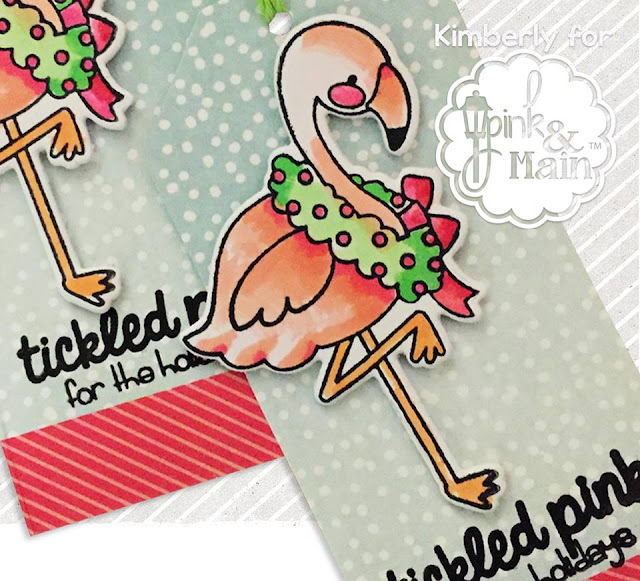 Too many favorites this time, love the flamingo and the flip flop tags and the dark grey one too! Beautiful tags from everyone! Today I spy Zsofia's modern tag designs! Both are incredible! There are some super creative and colorful tags today! I love the no-traditional Christmas colors. It is my favorite way to decorate Christmas. The snowman is too cute! He reminds me of a bobble head. If I have to pick just one favorite (not fair! 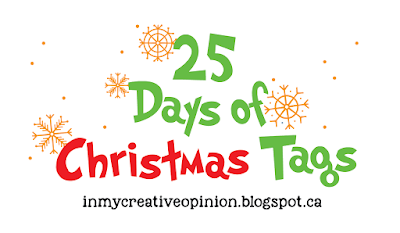 ), I think I would choose Kathy's "Christmas calories don't count!". I picked this because I love the coffee cups and I TOTALLY agree with the sentiment! love Pink & Main - well done! Beautiful tags! Andrea SHell was my muse for this day. wow, I love tag from Tracy!